We are in the “dog days’’ of summer here in Tallahasssee, which means we are right in between the two major planting seasons for your vegetable garden: Spring & Fall. It’s typical at this time of year to have a few empty spaces open up in your garden as plants like squash, cucumbers, tomatoes and more, begin to succumb to the oppressive pests and heat. We often have customers coming in at this time looking for vegetable starts to plant in those spots, but we don’t have any in stock. It’s too hot and wet to keep them healthy in small transplant pots, and our local growers go on their much-needed vacations in summer. Trying to establish tender young veggie transplants in this weather is near impossible. There are however, several options for you to take advantage of that open space. Veggies such as bush green beans, southern peas, corn and okra can be directly seeded into your garden. You can even begin to plant Cauliflower, Carrots, Collards, Cucumbers and Onions from seed a little early if you want to give it a try, though we usually wait for August. 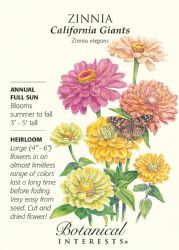 Plant Zinnias or Sunflowers from seed now if you’d like to attract butterflies and provide food for pollinators – they make nice bouquets too! It’s also a good time to pull out your basil that has begun struggle and bloom, and replant it from seed.